The term “mandate” has been sluicing through the Australian electoral system in its predictable wash-up. In that particular country, it never matters whether one wins by one vote or a hundred thousand: everyone has a “clear mandate” to do what they damn well wish they think they were encouraged to do. 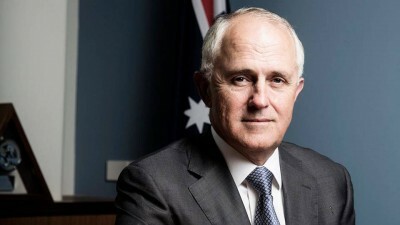 It is worth remembering that the Australian prime minister, Malcolm Turnbull, took his government, and the country, to an election, and tediously long eight-week campaign, after seeking a double dissolution (that is, of both chambers of Parliament). That effort was meant to improve his numbers and obtain the proverbial mandate against those in the Senate considered all too obstructionist for his governing – democracy, in other words, is not a matter of all parties but only the majority. What happened on election night was considerable bloodletting, a brutal display of voter vengeance that could only have been taken one way. It might have been deemed a massacre, and others with a mild acquaintance of their ancient history would have used the term Pyrrhic victory. In 279 BC, the battle of Asculum in Apulia got that fateful tag with the help of King Pyrrhus of Epicurus. The Empiriotic forces did endeavour to win the day, but at considerable cost at the hands of the Roman forces commanded by Consul Publius Decius Mus. As Plutarch noted in Pyrrhus (75 AD), “he had lost a great part of the forces he brought with him, and almost all his particular friends and principal commanders; there were no others there to make recruits, and he found the confederates in Italy backward.” Far from actually being given any sort of mandate, the election result for the prime minister was a hectoring punishment, a deliverance of sheer disgust. The assessment coming from the machine men – party director Tony Nutt and pollster Mark Textor, both of whom sound like the sorts of implements you would find in an obsolete writing bureau – could only speak in the dry terms of electoral concerns about the economy, and the fact that they should have been more “attack” advertisements. The point with Nutt is significant. Here he was, the strategist of the Liberal Party, running what was termed an eight-week “dictatorship” of micromanaging constipation. Liberal party state branches across the country were studiously ignored, while ammunition against the Labor opposition remained unused, if, indeed, it was ever stored up. The result should not have necessarily emboldened the opposition Labor Party either. Its leaders had already set the tribal trend in motion with the respective acts of internal political assassinations, first against Kevin Rudd, then against Julia Gillard. Labor deserved to win seats, but not government. Turnbull has done his cosmetic best with the thinned team he has to work with. With fewer sitting members, his decision has been to overcompensate: inflate the ministry, bulk it and bulge it in the hope that no one will notice the fewer chairs and voices. Australia’s government now has the largest cabinet since 1975, with an assortment of positions split like a meal amongst a parsimonious family. Victorian Kelly O’Dwyer found her position on small business removed, with assistant treasurer responsibilities renamed. The defence portfolio was split, with Christopher Pyne essentially taking over the meaty aspects of shipbuilding and the defence industry more broadly, while the erstwhile Defence Minister Marise Payne finds that a somewhat lesser portion of the pie left. With Pyne busying himself, she won’t have much to play with.